On Tuesday November 15th 2016, President of Finland Sauli Niinistö granted Visit Rovaniemi the President’s internationalisation award. 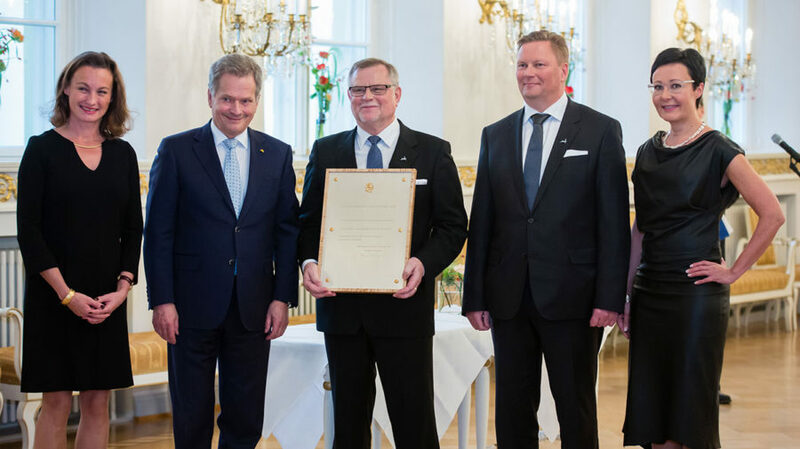 The award serves as a recognition of long-standing work for travel in Lapland as well as increasing awareness of the area as a travel destination. Please read more on the City of Rovaniemi website.